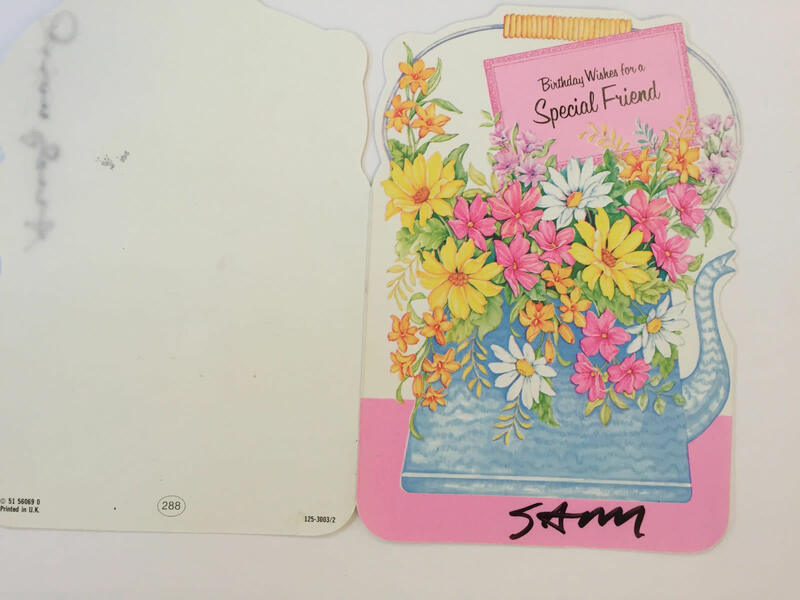 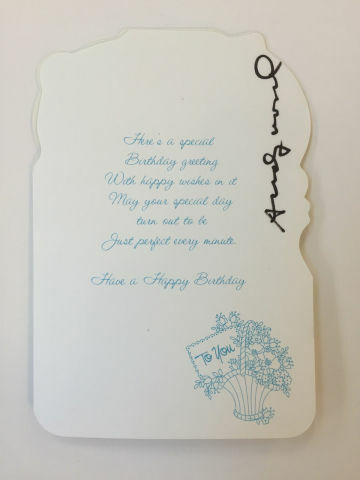 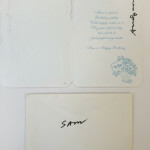 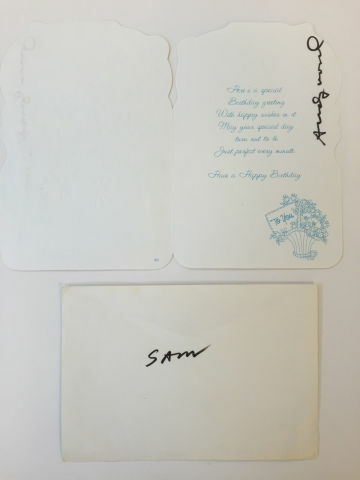 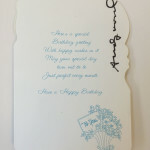 Birthday card from Andy Warhol to Sam Bolton. 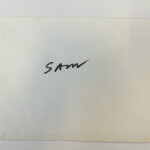 Signed Andy Warhol in black felt pen. 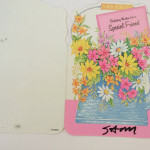 Together with envelope where "Sam" in written in black felt pen as well. 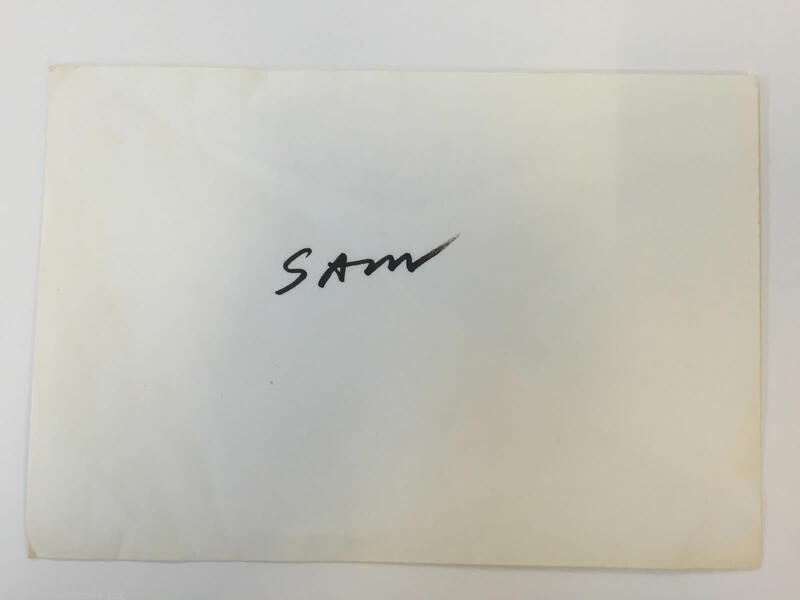 Provenance Sam Bolton. Bengtsson Fine Art.